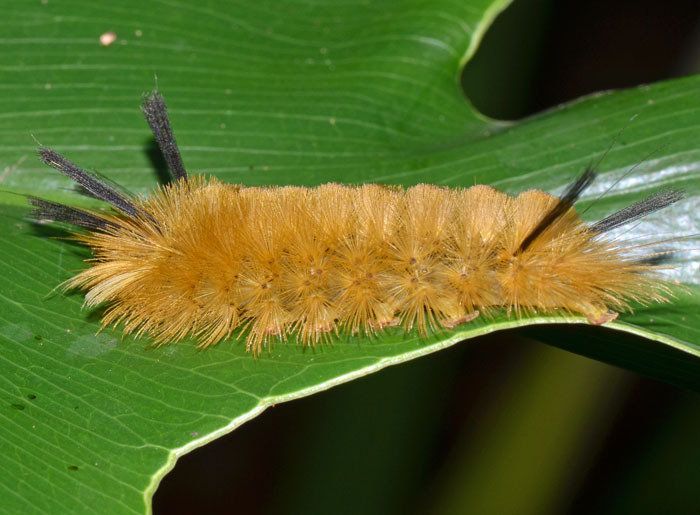 (Banded Tussock Moth) - imm. Size: approx. 30 mm. Photo: 06/09/14, 7 pm. 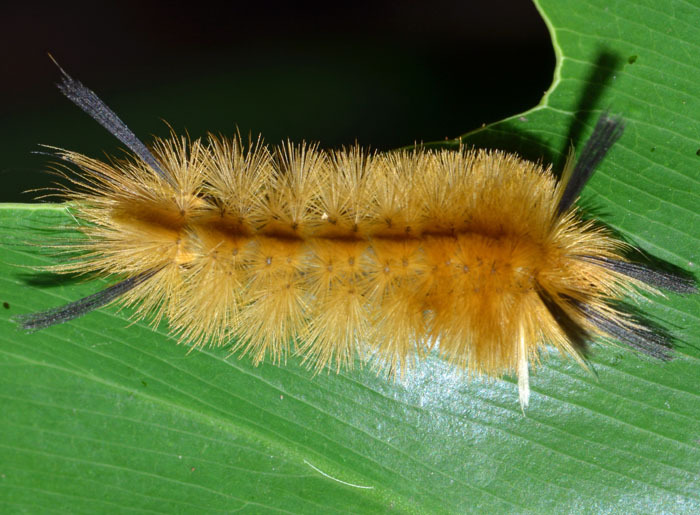 The Banded Tussock Moth Caterpillar comes in a wide range of colors with long, paired, white and black lashes on the second and third thoracic segments. The "hairs" are called setae. 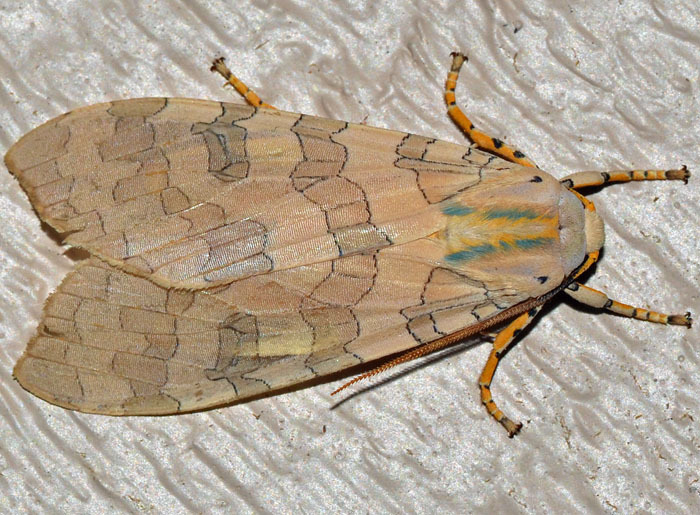 The adult moth is pale brown and features an interesting pattern of block-like bands on its wings. Size: approx. 20 mm. Photo: 08/17/14, 11 pm. 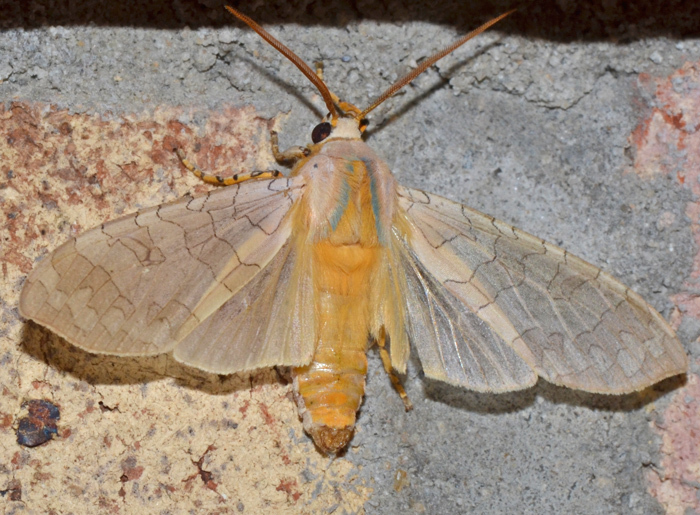 After seeing caterpillars of this moth for weeks, I finally came across an adult. This tiger moth belongs to the genus Halysidota but unfortunately the species can be determined only by dissection of the genitalia. For Florida, the possible candidates are H. tessellaris, H. harrisii, and H. cinctipes. The small photo (4/8/16) shows a different specimen.